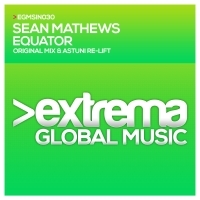 The second release on Extrema from the talented Sean Mathhews looks to follow on from the success of his debut which was supported by Armin van Buuren on ASOT together with a host of other big jocks. This release, backed up by an awersome Astuni remix heralds a great start to the year for Manuel le Saux's awesome Extrema imprint. 'Equator' is available now from Beatport and iTunes.